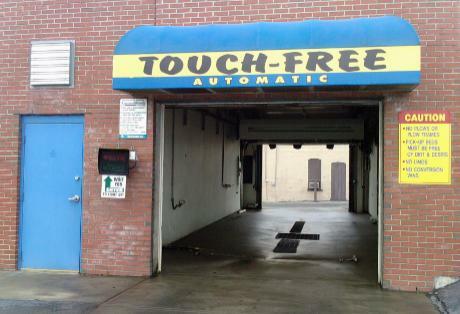 The NEWLY INSTALLED Touch-Free offers a quality professional wash without touching your finish. Each wash package includes a High Velocity Dry. We use only fresh water, never recycled. Payment methods include cash, discount tokens, or credit card. The Touch-Free is open 24/7 for your added convenience!